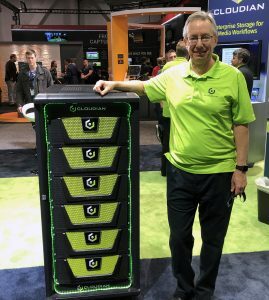 Artel Video Systems (Booth SU8107) is taking part in a live demo of the Reliable Internet Stream Transport (RIST) specification here at NAB Show. Created by the Video Services Forum (VSF), RIST serves as a common industry specification for low-latency video contribution over the internet. 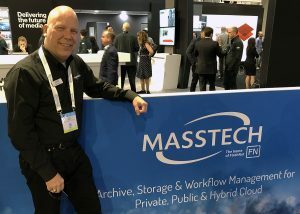 During the demonstration, Artel’s ARQ IP Streaming System is set up as a transmitter to deliver video over the internet from Artel’s headquarters in Westford, Mass., to the Cobalt Digital booth here at the show. 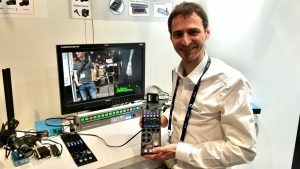 At Artel’s booth you can also take a gander at the company’s new Technology and Engineering Emmy Award, which Artel received for pioneering its reliable transmission method for live contribution and distribution TV links. 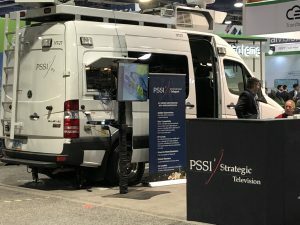 PSSI Global Services (Booth SU5802) has on display its Los Angeles-based Sprinter van, one of 16 trucks that the company absorbed in its acquisition of CNN’s fleet last year that have been upgraded to services a wider variety of clients. “For this year’s show, our approach is touting ourselves as the world’s transmission experts,” said PSSI Global Services GM Clint Bergeson, “Not necessarily just satellite, which is our specialty and remains our backbone, but multi transmission modes.” The 20-foot Sprinter van on display features gear from Media Links and Nextologies that allows the vehicle to transmit via fiber, satellite, or the public internet. 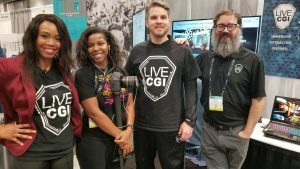 An in-booth demo shows footage from a Nascar race in Bristol being transmitted from Nascar’s Charlotte facility to PSSI’s teleport in Pittsburgh via AT&T GVS fiber, where it is ingested, transcoded, and sent out to Las Vegas.